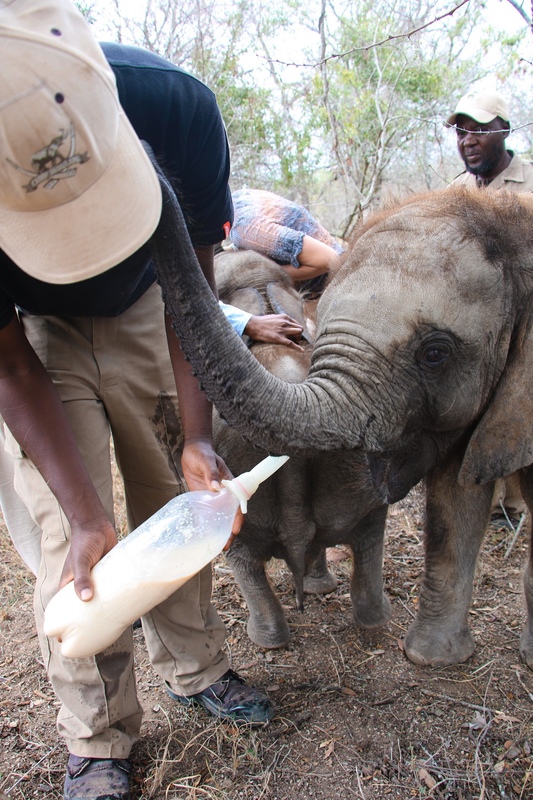 Caring for elephants is no easy task. 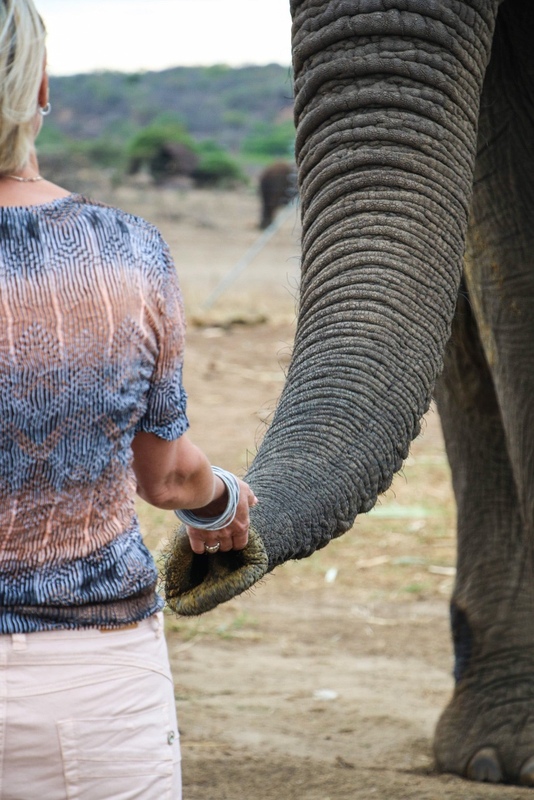 As you’d imagine, were you inclined to ponder the ins and outs of the life of an elephant handler, wildlife veterinarian or endangered species curator. 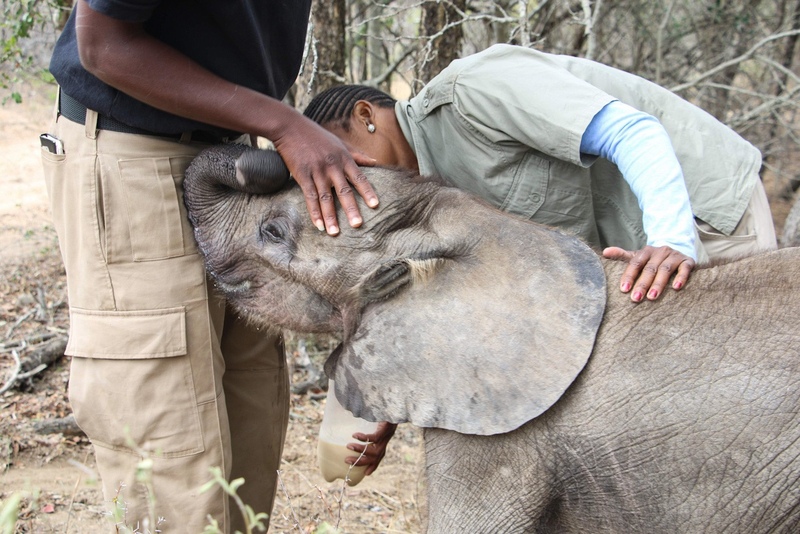 Taking care of a child or cat or company is one thing, but a herd of orphaned elephants… it’s not merely pricely or physically taxing, but every day the threat of poachers looms. Every day the effect of poaching is felt. The mental and emotional strength this kind of parenthood demands, the tenacity, dedication and selflessness, is what makes guardians such as these so special. Witnessing the day to day affairs of a wildlife sanctuary, every moment is one with meaning. I learn how to be a better human in these moments. I remember how much we need each other, need someone, to care for us, support us, push us. I see love, I see the best side of humankind, I see family, I see the essentials and I see the answers to life. It’s these meetings with “the others”, with those doing the work to better our world, that inspire us. It’s these people we aim to share with you in our #findtheothers movement. 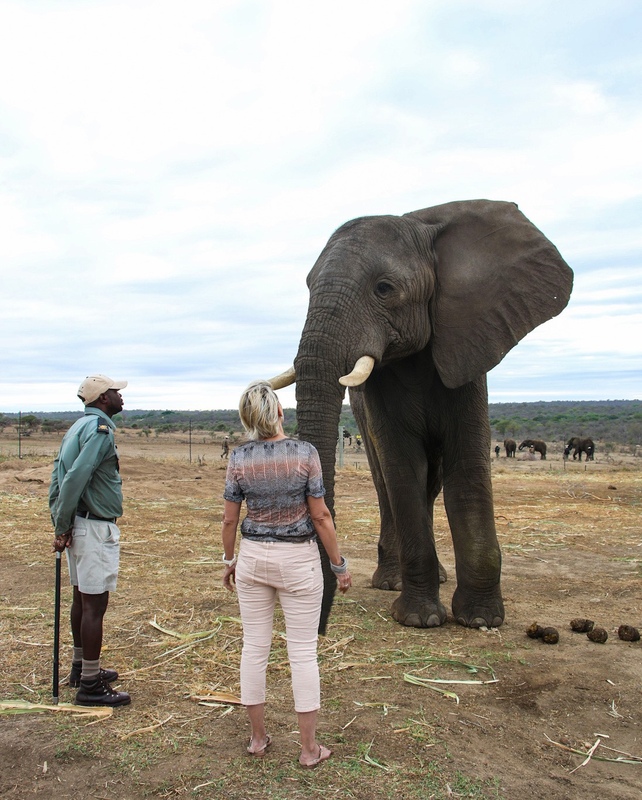 It’s a meeting like our recent encounter with Adine Roode, owner of Camp Jabulani in the Greater Kruger Park area of South Africa. 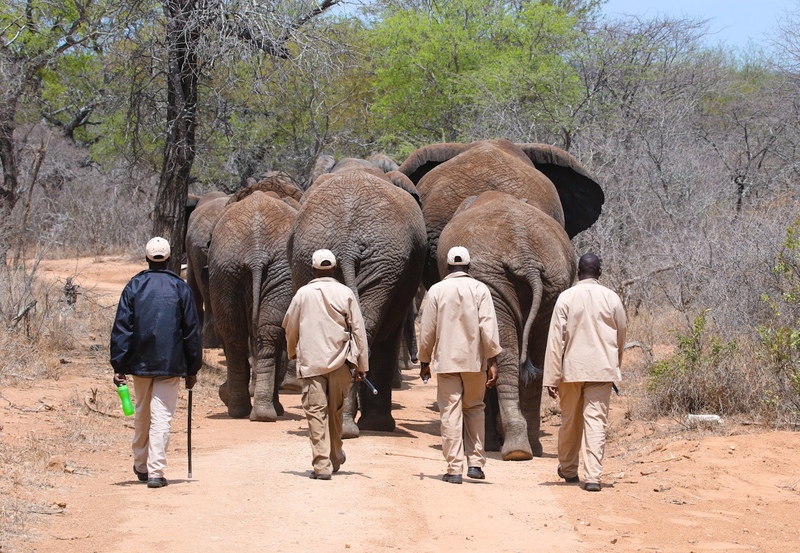 The story of this meeting comes in many parts and features many different players ~ safari guides, elephant handlers, an anti-poaching unit team, carers and curators, and a sheep as surrogate mother. 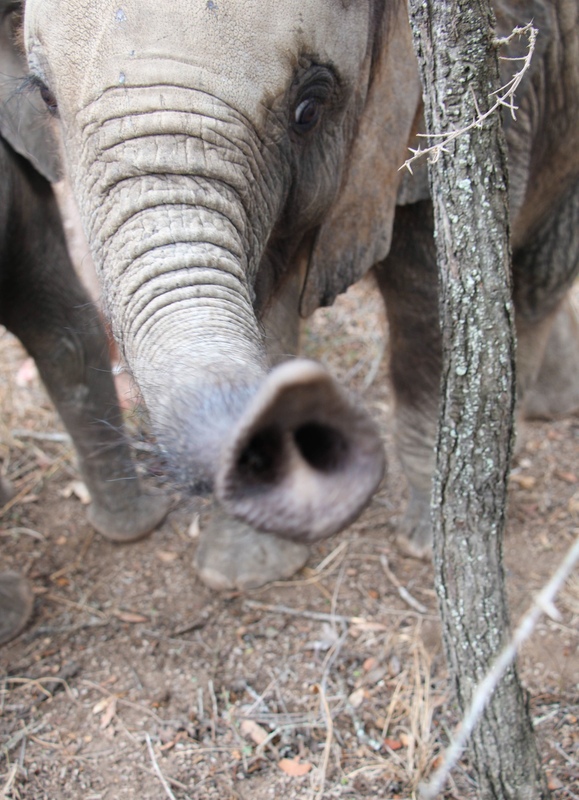 Today, it starts with an elephant named Fishan and a handful of elephant dung. Actually where it really starts is in a car. Adine Roode is at the wheel and we are driving through Big 5 territory, with a dog at our feet (animals never quite leave Adine’s side). 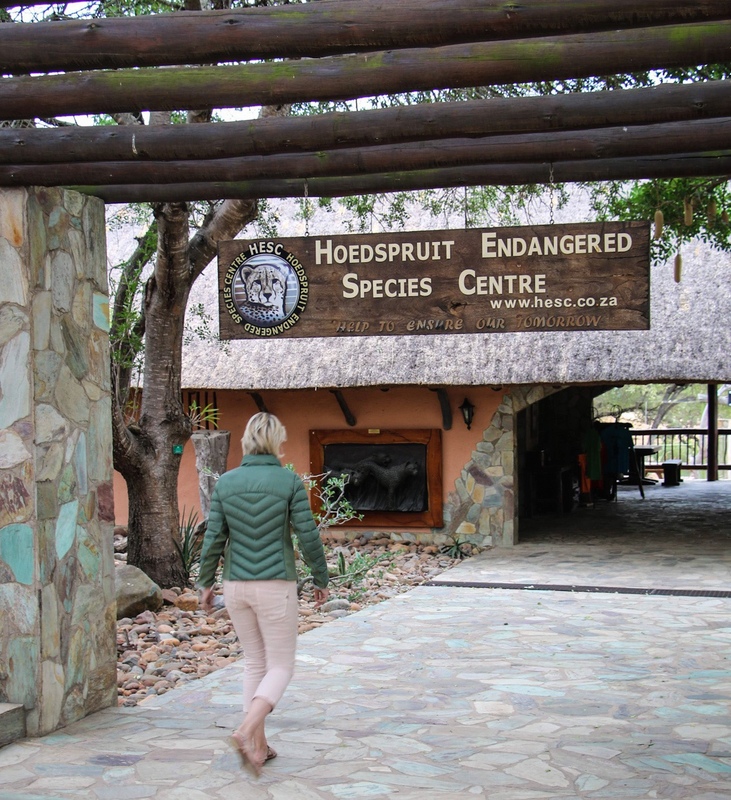 We’re driving from Camp Jabulani to HESC, the Hoedspruit Endangered Species Centre in South Africa. 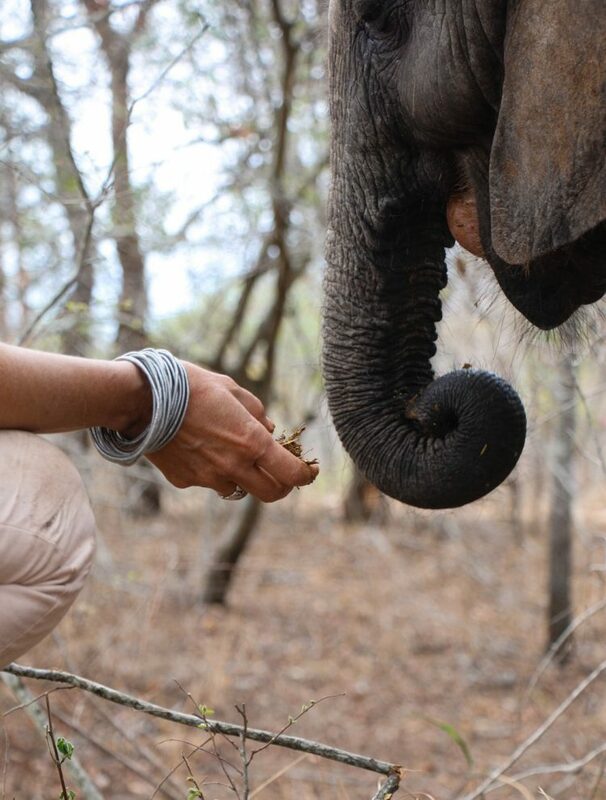 Along the way, we stop at the lodge’s elephant stables in the Kapama reserve to collect fresh dung from the older elephants to feed to the babies at HESC. 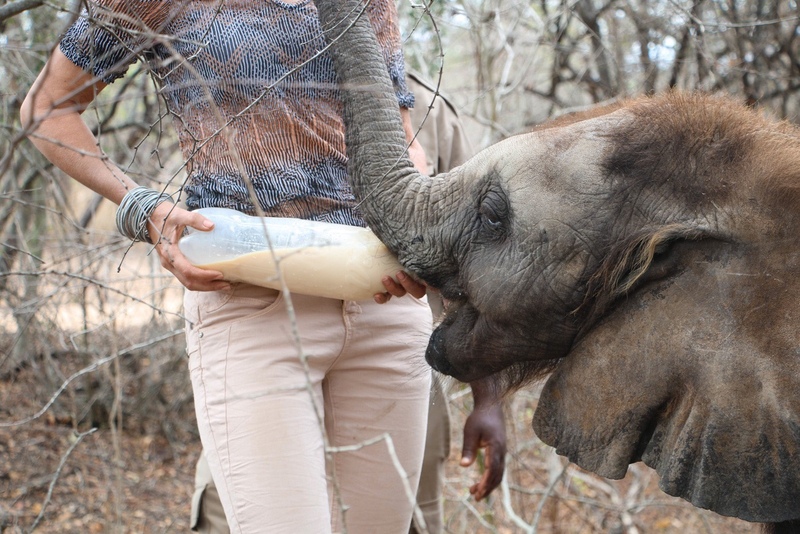 Two young orphans, Mopane and Raekie. At the stables, we collect the dung and check in on Fishan, an elephant bull who broke his leg by accidentally stepping into a hole at Camp Jabulani. Not a simple injury to heal for such a large animal, but the dedicated carers and leading wildlife vets carried out x-rays and fitted him with casts. The decision was eventually made to let him rest and heal naturally. When Adine and I meet up with him, one of the carers is feeding him, while the rest of the herd has their morning exercise, before heading out to forage in the wild. Watching him with Adine makes it all real. 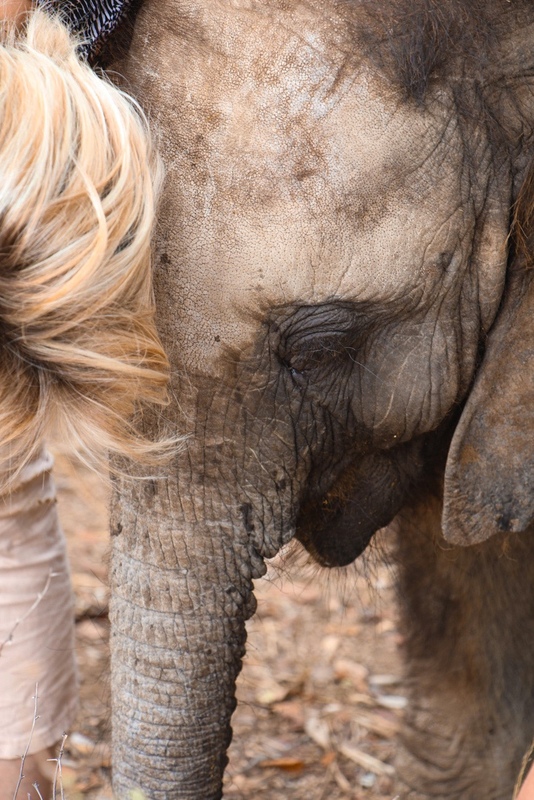 The elephants know her, trust her, as they do the carers. She knows and trusts them, which is perhaps why the relationship between human and animal here is so special. Fear doesn’t enter, only understanding and respect. Adine’s whole body becomes calm and still in the presence of these animals. Over the years, we have worked with, travelled with, laughed, cried and dined with Adine many times. 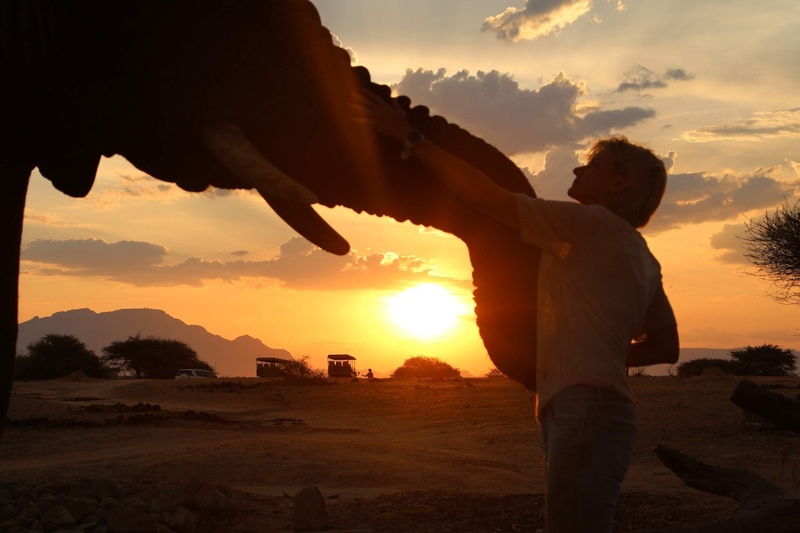 Her story and the stories she has to tell about life in a wildlife reserve, in an endangered species sanctuary, draw us in like elephants at a watering hole. But in the company of humans, I notice (and she’ll admit) her attention is not always with us. Part of her is always with the animals. To witness the wholeness of who Adine is, we have to follow her to them. Trailing behind her to visit the baby elephants, watching her feeding milk bottles and dung to Mopane and Raekie, alongside the carers, standing in the background as she sits in front of one of the older rhinos to rub his chin… seeing her eyes close for a moment, in the peace and deep exhale of feeling at one with the animal heart before her, you understand her better, you understand life better, and you understand the work being done at Camp Jabulani and at HESC. The work is conservation. But it’s so much more than work as we know it. It is life. It is purpose and meaning. It’s a human hand on the skin of a calf’s forehead, the air blown into an elephant’s trunk, the excited jog of a rescued rhino, the tears for the triumphs, and the discovery of another soul succeeding in making the world a better place.